Findings showed that 75% of people used at least one CAM. Most of users consumed medicinal plants (69.4%). The most common reason of using a CAM was common cold (32.9%). 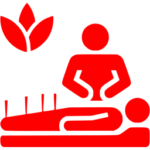 The highest satisfaction belonged to massage (3%). CAM use was 3.22 times higher in people with academic educations compared with illiterate people. Not much different than in years past: it is necessary to train specialists in this field in order to offer such treatments in a safe manner. And, of course, more research is needed, according to the researchers. This entry was posted on Friday, March 3rd, 2017 at 9:13 AM	and is filed under CAM Education, CAM Use, Massage. You can follow any responses to this entry through the RSS 2.0 feed. Both comments and pings are currently closed.